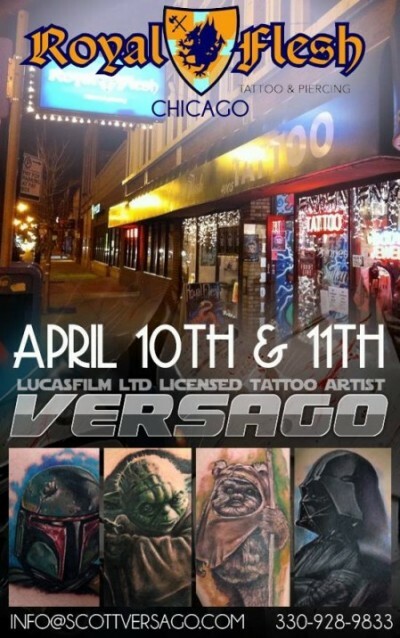 If Your A Fan of STAR WARS, LucasFilm Certified Tattoo Artist Scott Versago Visits Chicago's Royal Flesh Tattoo and Piercing. We are proud to announce that World Famous and Top Tattoo Artist Scott Versago will be laying som e ink on family and friends of Royal Flesh April 10th & 11th. 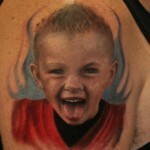 Tattooing, though an incredible passion of his, didn’t stick at first. Following the completion of his apprenticeship in 1996, Scott Versago went on hiatus from the medium and took to mastering the digital arts. Over the next ten years, Versago founded his own marketing and advertising firm, and was responsible for designing and developing multi-million dollar projects for such high-profile clients as; Microsoft, IBM, MCI Worldcom, The City of Cleveland, The Cleveland Browns, and Goodwin Sports Management (Lebron James), as well as many others. 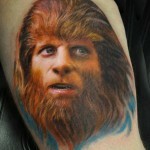 According to the Gawker.com, the "Worlds Worst Portrait Tattoo was Fixed by Scott. He is world class when it comes to Cover up Tattoos. 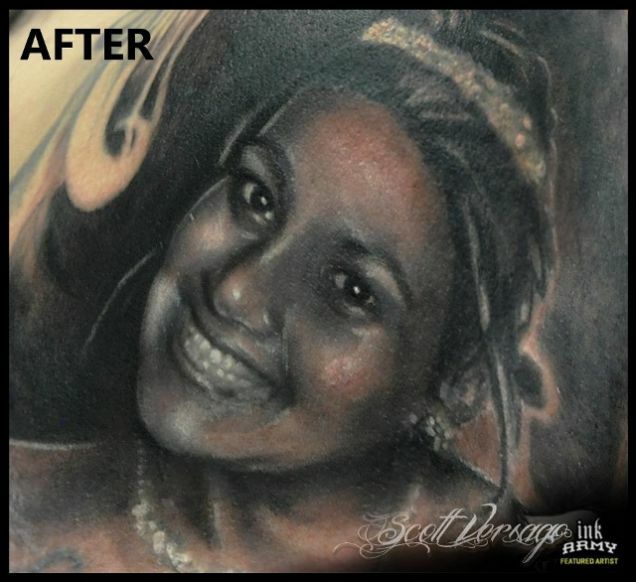 Story goes that this guy wanted to pay tribute to his beloved wife, who had sadly perished in a house fire not one month after their wedding, by getting her face tattooed on his arm. 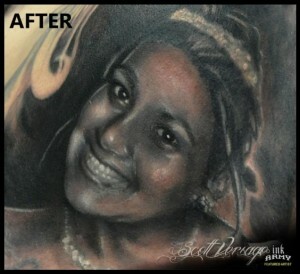 But his local ink studio added injury to injury when they botched up the job something horrible. 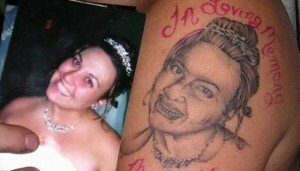 Ever since, a photo of the "world's worst portrait tattoo" has been circulating the web as both a warning and a WTF. Fast-forward to present day and the same guy walks into Akron, Ohio's Empire Ink, where he is greeted by tattoo artist Scott Versago. "I couldn't believe my eyes when this guy walked in and showed me this project," Versago writes on his Facebook page. "I think my jaw literally hit the floor." Versago goes on to retell the complete story of how this "abomination" came to be. 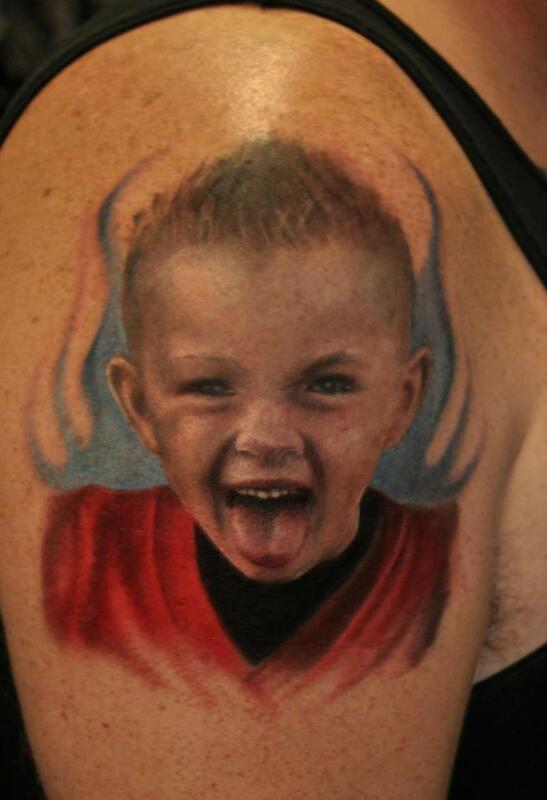 Shortly after his wife's death, our hero walked into a tat shop with a photo in hand, and walked out with a monstrosity. "He later returned to that studio for one more session," Versago writes, "thinking that perhaps 'he had done something wrong in the healing of the tattoo' and they butchered it even more the second time." 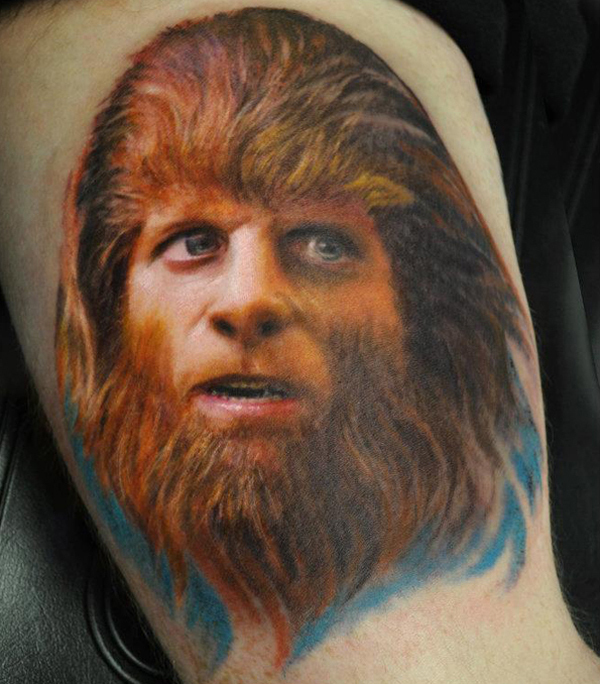 Eventually the man took his shame to Empire Ink, hoping there was something — anything — that could be done to salvage the in memoriam. And as it so happens, there was. Please come join us for 2 amazing days with Scott April 10th & 11th at Royal Flesh.